Email marketing is a powerful channel. It can be very effective in driving ROI when executed well, but sometimes your campaigns simply don’t work as well as you’ve anticipated. There are many factors that can impact the results of your email campaigns. 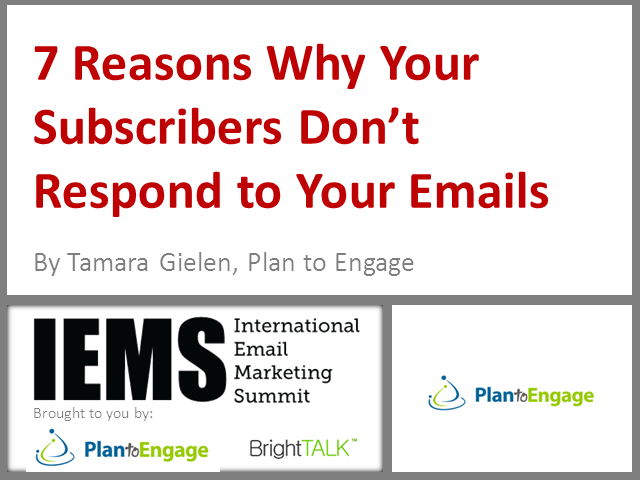 In this session, Tamara will cover the seven most common reasons why email marketing campaigns don’t work – and what you can do about it.